After a long hot summer, with almost no rain whatsoever, critical water shortages and over 30 degree heat, I was pleased for a little respite in the weather. Until it got hot again. 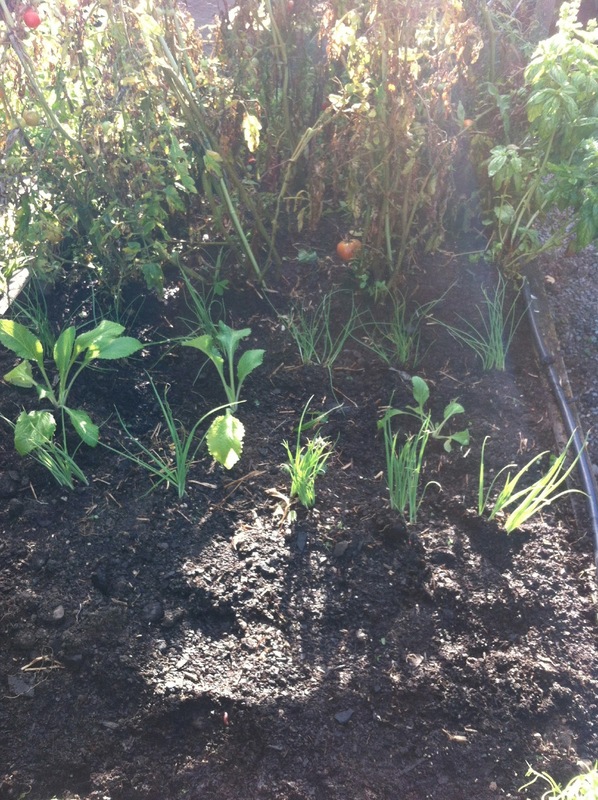 Then we saw the forecast for rain this weekend… hence… time to plant for autumn and early winter crops. As I have never successfully kept the garden growing all winter, this is a challenge! So all the beds were composted again and turned over. 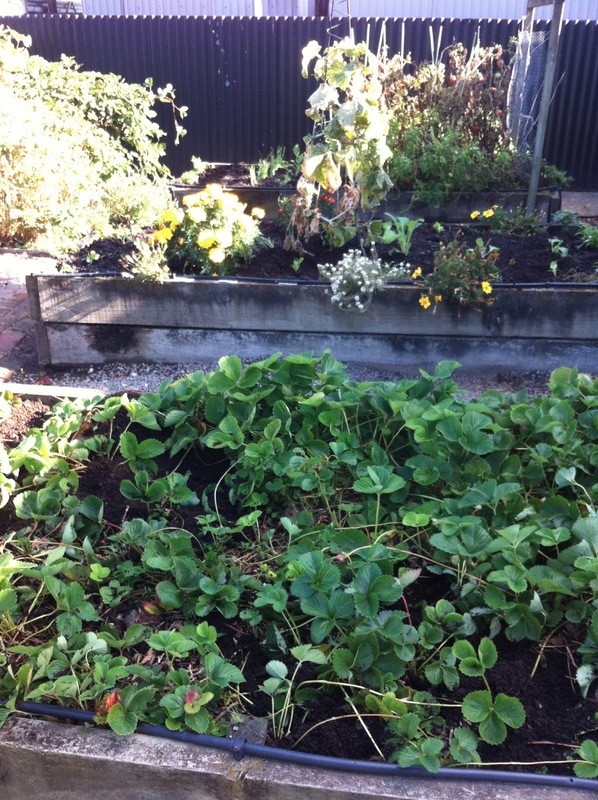 The strawberries are all producing runners, so they just got weeded and a little tlc. I planted some comfrey in their bed… but mainly as I got all confused… My grandfather always swore by having borage in a strawberry patch, except in my moment of panic at the garden store, I picked up comfrey instead. The tomato patch is on it’s last legs, and the chillies are doing great, so they just got a light weeding. I hope to coax a few more cucumbers out of the vine, but we shall see, and the pumpkin and silver beet have been going gangbusters. 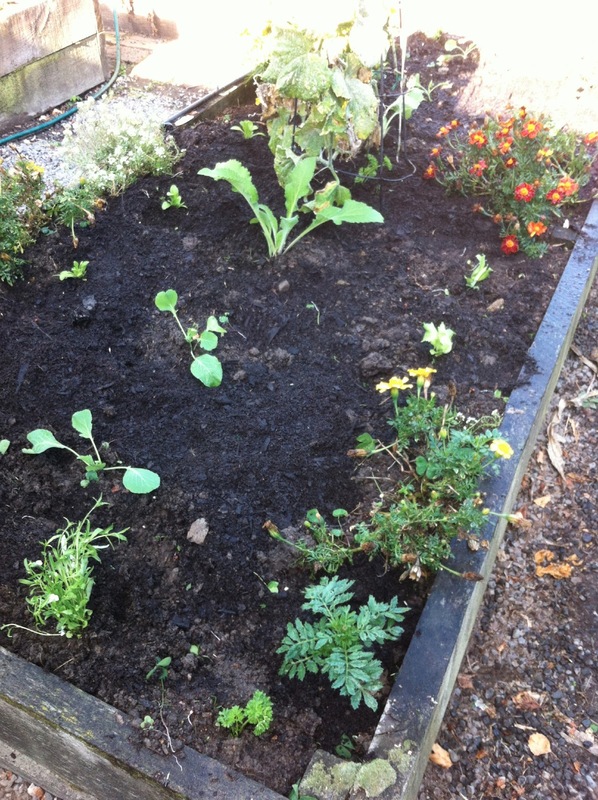 Planted cabbages, remembering to leave heaps of space between, broccoli and perpetual spinach. Also added lettuce, but we shall see the success rate there. Added lavender to the silver beet patch, as it is supposed to help, and planted foxgloves in each bed as they are meant to aid all growing plants. I also planted pale blue lobelias and pansies, though I actually forget what they are supposed to do. Companion planting is genius, but other than remembering to plant basil with tomatoes, I always forget the benefits. 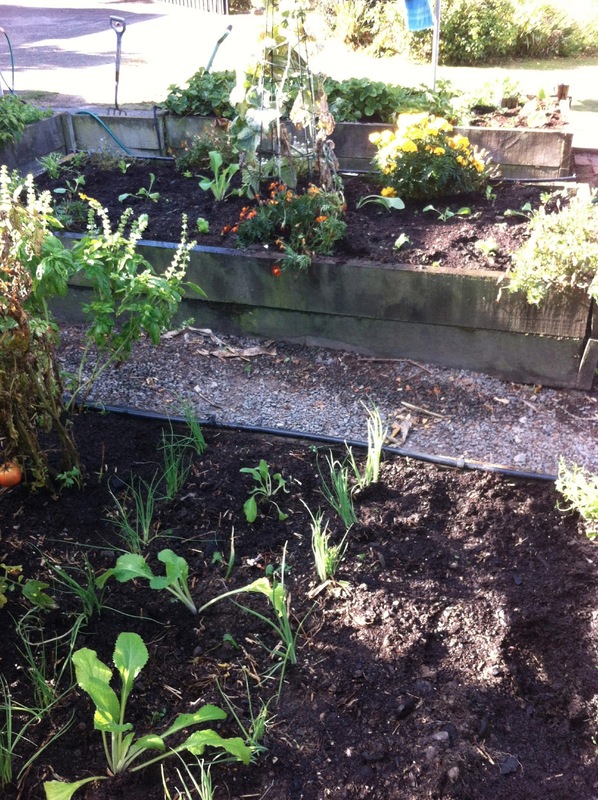 I planted spring onions and leeks, but I have never had much success with these in the past. I hope for good things. I also added more parsley and attempted to reign in the mint. 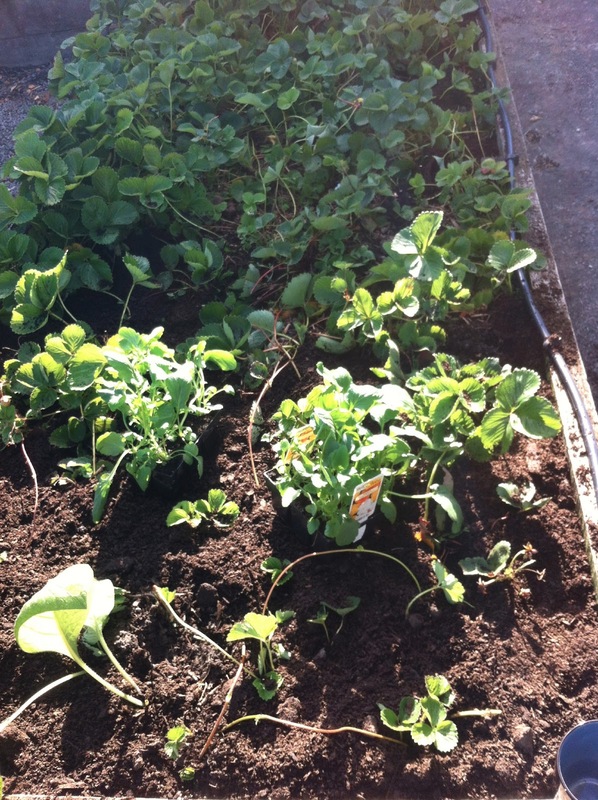 I wanted to plant radishes and alysum, but that was a failure as my cart was full….. 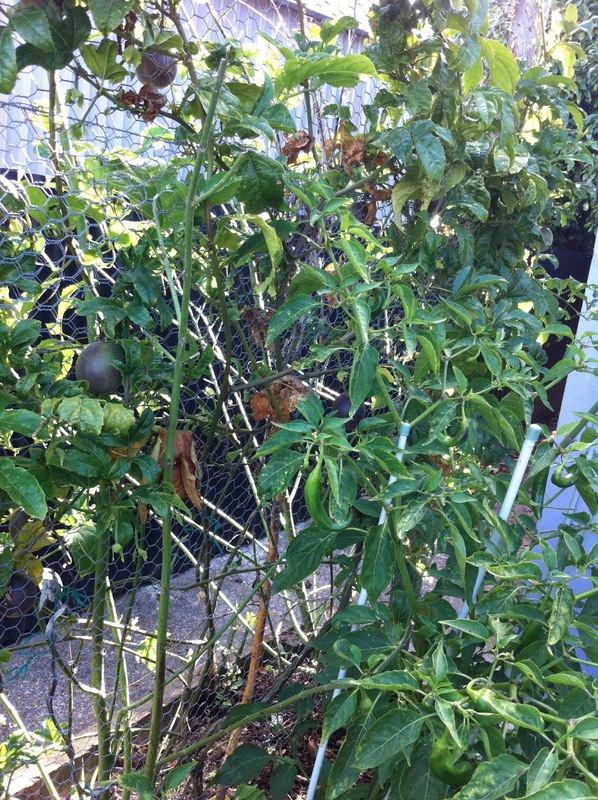 I still have a load of apples to harvest and preserve, and I made a wad of pasta sauce last Sunday… so even with a droughted summer, the garden hasn’t been a total let down. 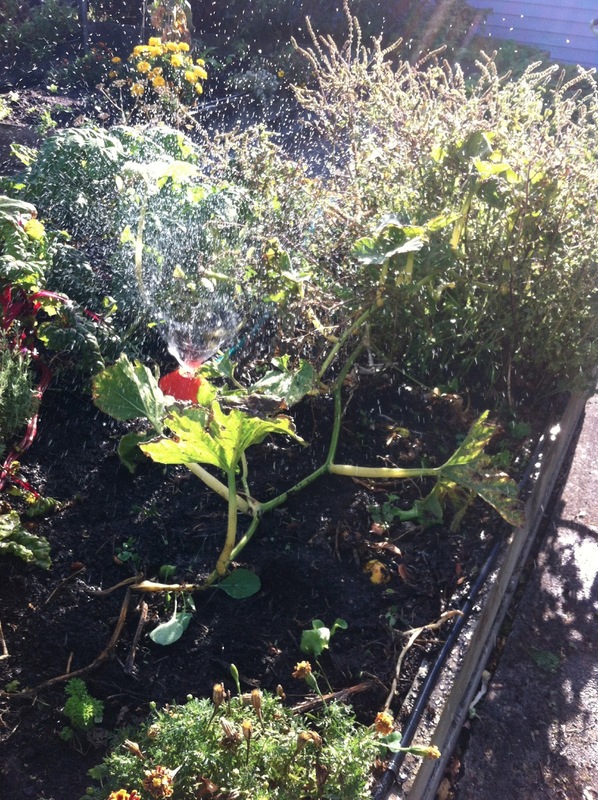 For those also interested in more gardening, here is superwoman Janet’s blog – she is attempting to grow ALL her families vegetables this year.